Blair Athol Scotch Whisky Distillery in Pitlochry was Established in 1798 and is owned by Diageo. It produces Blair Athol single malt 12 Year Old. It also is a major contributor to the famous Bell’s blends. 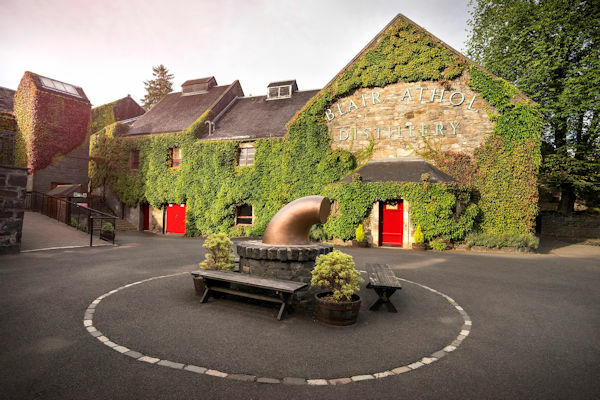 There is so much Scottish whisky history connected to Blair Athol and over the years this distillery has grow in status with its whisky being sold throughout the world. Below you can find out more details about this lovely Scottish distillery and also find out where to buy these excellent Pitlochry malts. There is a accommodation listing on this website where you can find local accommodation near the Blair Athol Distillery - Accommodation near Blair Athol Distillery . View Blair Athol Single Malt Whisky Range on this website.